Baby (and Bump) Update at 18-20ish weeks?? 1. First ultrasound: Since my first appointment was a little later than normal, our first ultrasound didn’t happen until about 16 weeks. It’s amazing the difference that seeing the little person in there makes, and it’s kind of shocking that someone only 16 weeks formed could already be so intricate and beautiful. We really are fearfully and wonderfully made. 2. It’s a girl! We found this out at that first ultrasound. We weren’t expecting to know so early, but it was the most exciting experience to walk out of that appointment with a pronoun, then later (but not long after), a name! Consciously, I had been back and forth about whether or not it was a girl or a boy (and to be completely honest, had no preference, I love both), but the baby was always a girl in my dreams. I thought it was pretty cool that they turned out to be right (of course, I had a 50/50 chance)! 4. 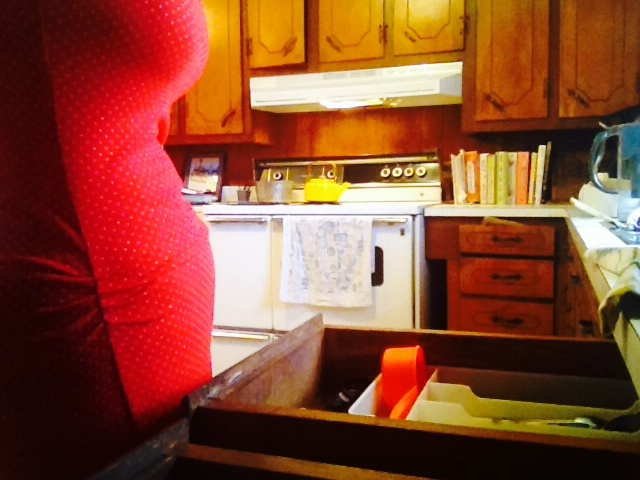 Pregnancy doesn’t freak me out anymore….as much. I fell super in love with this baby as soon as I saw the ultrasound. Somehow, that made the whole there’s-like-an-alien-inside-me aspect seem less freaky. Because it’s a beautiful little alien (uh..baby) and I love her a lot and will love her for the rest of my life. So there…ok, freaking myself out a little bit here now. But really, I’m a lot more down with pregnancy than I was a few weeks ago because I really know that she’s in there and I can picture her now. 5. I’ve had a few symptoms, but I am mostly feeling pretty good. Really, I’ve been mega blessed to feel this good. I have struggled with some very bad headaches, which, honestly I did before too. I’ve also been very, very tired at times. Zumba takes it out of me more than it did before, but I also think that staying active and eating healthy has been one reason that I haven’t struggled as much with some of the other typical side effects of pregnancy. 6. Speaking of healthy, I am really excited to share with you all that I recently began eating according to the “Trim Healthy Mama” plan. I’ll no doubt write another blog post about what this involves in the “Food” section soon, so keep your eyes peeled. Basically, I had decided that it was hard for me to balance my new nutritional needs with my ingrained mentally to eat like I’m a health nut on a diet all the time (my usual regime). I wanted to be able to give myself mental permission to eat a balanced, healthy, whole-foods diet that could get this baby everything she needs to grow strong…. I also didn’t want to go too far the other way and end up gaining too much UNnecessary weight (very easy as my body is naturally bigger than I normally force it to be). I needed some structure that wasn’t based on counting calories, but on nutrition…So far I am super happy with the THM way of eating! 7. 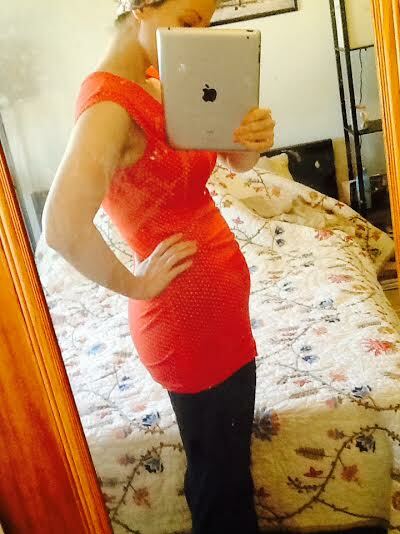 The bump is starting to bump! Again, post-ultrasound this does not freak me out like I thought I would. I’m actually sort of excited about it! Kora Rose is in there! Also…stretch marks…will probably get them. *sigh. Been doing the coconut oil and cocoa butter thing, so maybe that will help. If I find I preventative cure, I will be sure to let y’all know! However, genes are genes, and I already had some from when I got my hips, so it’s not that big of a deal I guess. 8. You guys want to see my bump? In this one she’s up higher..Cue “Jaws” music as the belly tries to attack the drawer.